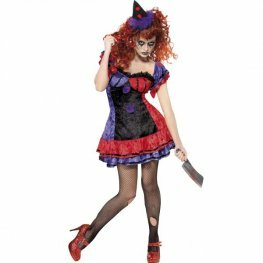 Smiffys Fever Ladies Zombie Creepy Clown Wholesale Halloween Fancy Dress Costumes Includes Dress With Hat, Cuffs And Collar. 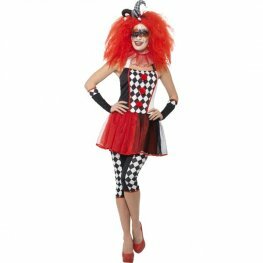 Fever Patchwork Clown Halloween Fancy Dress Costume. 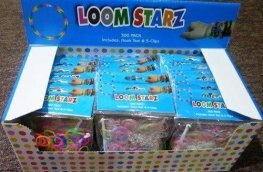 This Costume Includes A Multi Coloured Dress, Attached Braces And Bow Headband. 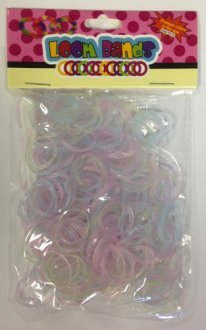 Fever Miss Jester Whiplash Halloween Fancy Dress Costume. This Red And Blue Whiplash Costume Includes A Zip Up Catsuit. 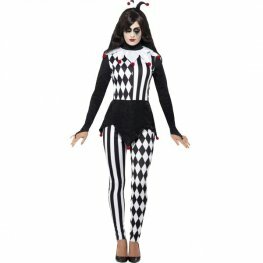 Female Jester Halloween Fancy Dress Costume. 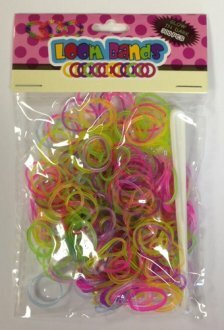 This Costume Includes A Black And White Top, Leggings And Headband. 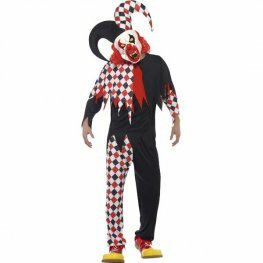 Smiffys Dark Jester Halloween Fancy Dress Costume. 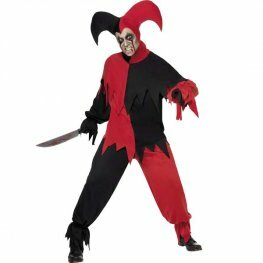 This Dark Jester Costume Includes Black And Red Top, Trousers And Matching Hat. Sinister Jester Halloween Fancy Dress Costume. This Costume Includes A Black And Red Jumpsuit, Collar And Hat. 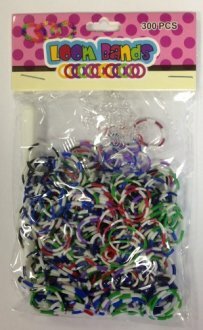 Crazed Jester Halloween Fancy Dress Costume. 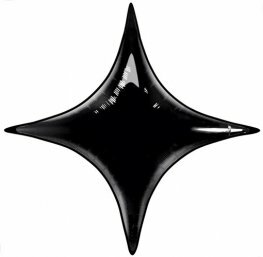 This Costume Includes A Black And Red Top, Trousers, Latex Mask And Attached Hat. 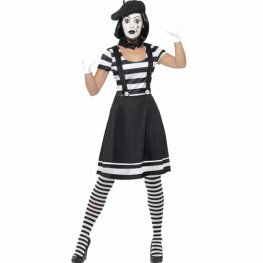 Lady Mime Artist Halloween Fancy Dress Costume. This Costume Includes A Black And White Dress, Collar, Beret, Gloves, Tights And Make-up.